Experience the Silver Jubilee celebration in a more manageable cab size. The JCM25/50 Silver Jubilee Series was produced in 1987 to celebrate 25 years of Marshall Amplification and 50 years of Jim Marshall being in the music business. The 2555 model was reissued in 2015 as the 2555X. Inspired by this acclaimed series, the Mini Jubilee 2525C 1x12 combo and 2525H head combine all of the 2555X Jubilee preamp features and styling in a lower power, mini design. And now, to accompany the 2555X and the 2525H Mini Jubilee heads, Marshall has created the 2536 2x12 Silver Jubilee speaker cabinet. 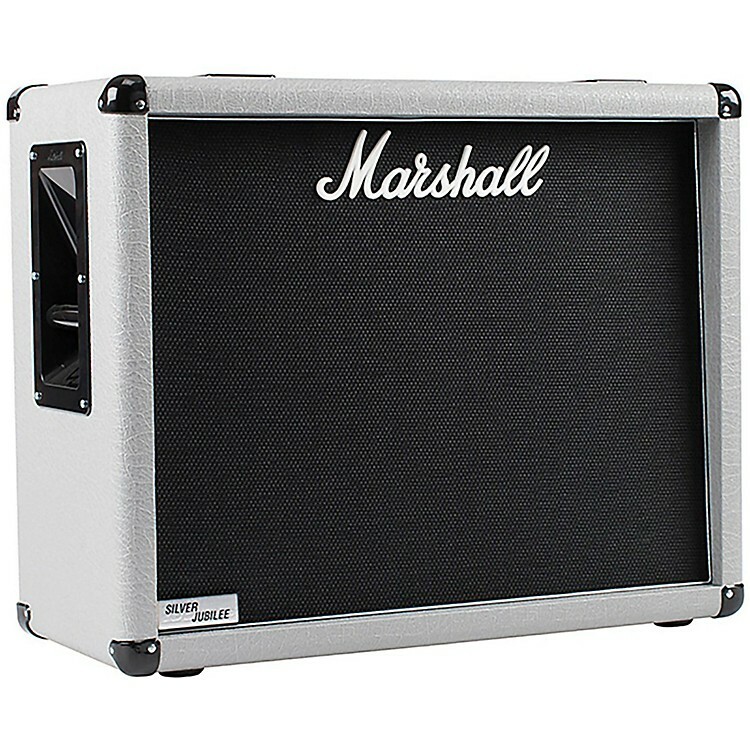 The 2536 speaker cabinet features classic Jubilee styling: silver vinyl covering with Marshall script logo, name plaque and side-grip carrying handles for easier transportation. The 140W 2536 is loaded with Celestion Vintage 30 speakers and is 8 Ohm mono/16 Ohm stereo.